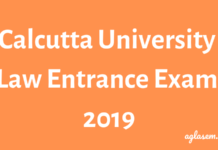 Calcutta University LLM Admission 2019 – the University of Calcutta, Faculty of Law will conduct Written Test for admission into the various 1st year of 2 year LLM Courses for the under mentioned institutions. 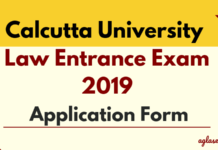 Candidates can check all the relevant details of Calcutta University LLM Admission 2019 such as application process, eligibility, exam pattern etc through this page below. 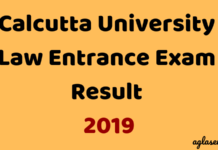 Latest: Official Notification for Calcutta University LLM 2019 has been released. Candidates can check the same from below. Candidates seeking admission in LLM Course have to fill the application form available at www.caluniv.ac.in. Admit Card is available for those candidates who filled their Application on or before the last date as prescribed below. Admission in LLM Course will be done through Written Test and Counseling. Schedule for the Calcutta University LLM Admission 2019 is given below. Publication of Merit List To be announced!! Date of Counselling To be announced!! Admission to LL.M. course shall be open to applicants who have passed their B.A.LL.B (Hons.) / B.A.LL.B / LL.B (Hons. )/ LL.B. examination from this university or from other university recognized by the University of Calcutta. 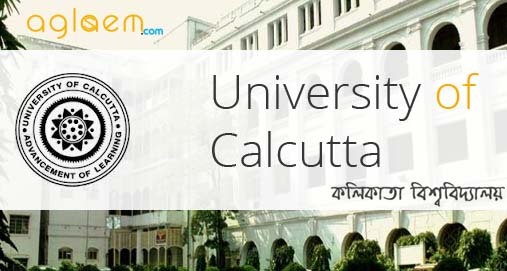 Application Forms can be downloaded from the official website of the University of Calcutta – www.caluniv.ac.in. Fees for the downloaded Admission Form will be submitted only in the University Cash Counter (Hazra Campus) through University Cash Challan. Candidates are advised must ensure their Eligibility and other conditions before filling the downloaded application form. Application Fee is Rs. 400/- (Rs. 200/- for SC/ST/OBC/PWD). Completely Filled Calcutta University LLM Application Form 2018 should be submitted to the office of the Faculty of Law, 51/1, Hazra Road, Kolkata – 700019 on or before the last date mention above (except University Holiday) against which Admit Card will be issued on the same day. No application form will be accepted by post/courier. The written test will be of 100 marks, 60 marks for MCQ, and 40 marks for the subjective test from B.A.LL.B. Syllabus of C.U. Admission in LLM Course at the University of Calcutta shall be done on the basis of marks obtained in Entrance Test and Counseling. After counseling process candidates will be selected for admission in the University. The University of Calcutta, Faculty of Law has issued the Merit List & Counselling schedule for admission into the various 1st year of 2 year LLM Courses. Candidates will check all the details through the direct link provided in this page. Counseling/ Admission will stop as soon as all seats are filled up. Venue: Department of Law, University of Calcutta, 51/1, Hazra Road, Kolkata – 700 019. Candidates to show during Counselling. Original Admit Card of LL.M. Entrance Test. Original Admit Cards & Mark Sheets of B.A.LL.B./LL.B. Photocopies of all testimonials mentioned above. Fifty percent (50%) of the total number of seats in the 1st Year shall be reserved for B.A.LL.B (Hons.) candidates of this university, for the remaining seats Entrance Test will be conducted. Click here to check Official Notification of Calcutta University LLM Admission 2018.